Life or Online Games? Your Choice! Online Games like â€?Pokemon Goâ€™ and a recent deadliest game â€?Blue whaleâ€™ has created a Mental scare among parents across the world as the youngsters committed suicides in Russia, UK and India while playing these games. These games are not just games, but threat to life. Gone are the days when we used to play games like Ludo, Chess, gully Cricket, marbles and may more country made games. Now, as technology has entered into the daily life of human beings, it has left a great influence on them, especially the kids. Recently, a game named â€?Blue Whaleâ€™, which has become popular as suicide game has been in the news not because of the quality of it but the deaths led by it. The game consists of 50 tasks or challenges for the users where the last and the final challenge is set as â€?suicideâ€™. The creator of the game, Phillip Budeikin was earlier arrested and imprisoned for three years due to the death tolls were raised in Russia. 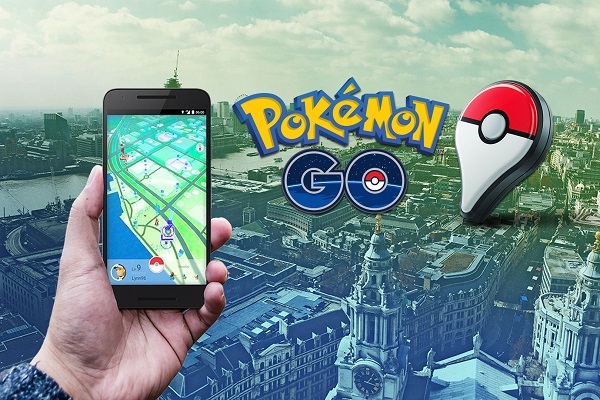 Now, the question is â€?where and how such games get the permission?â€™ Earlier, a fantasy game â€?Pokemon Goâ€™, a location based game was in the news because of the same. The game was consisting of â€?Pokemonsâ€™ which a person has to catch on his phone from various locations. The game was created by Niantic that led to accidents and deaths. Even I faced the situation as I was also having a craze of playing Pokemon game since my childhood. When I came to know about the game, the game was not officially launched in India due to the risk. But as we know, thereâ€™s always a loophole, the â€?APKâ€™ file of the game went viral on the internet. My friend told me that he is having an APK file of the game, I immediately asked him for the file and installed it on my phone. I often use to travel on my bike a lot, and gameâ€™s policy was to play it outside. Therefore, I use to start the game and put my phone in my shirt pocket, so that I can grab the Pokemon whenever my phone vibrates. One day I was passing through â€?Tribune Chowkâ€™ in Chandigarh with having phone in my shirt pocket and my phone vibrated. Likewise, I took my phone from my pocket and I found the famous Pokemon i.e â€?Pikachuâ€™. What could I have done? I stopped my bike immediately trying to catch Pikachu as only a few gets the opportunity to grab it. As I stopped my bike, I was unable to catch him but was very close to met with an accident. A back color Scorpio just stopped inches from me. On that day, I realized how dangerous it could be to play the game like this. Why we play after knowing that it is dangerous? These kinds of games come up as a trend and we are living in modern generation where most of the things are ruled as a trend. Meanwhile, living in a trendy atmosphere, everyone wants to be the part of trending things. Therefore, without any fear of risk, we banged it on. These things also come up with the show off or challenges, and no one wants to let themselves down. Who is responsible for preventing accidents? Well! There is no such wording that ensures the safety of human beings while playing. Therefore, we our self has to be careful about it. None games gives any assurance of safety as they give an earlier warning to play it on your own risk, but our mental psychology force us to do so. Hence, these game developers should be careful while creating games as they are the one who knew the conclusions about it. While I was playing, that was of course a fantasy, but I was challenged by my friends that, â€?Letâ€™s see who will catch Pikachu first?â€? Similarly, Blue whale is also having challenges which force the user to go for it. Hence, letâ€™s not put our life into risk just to satisfy the ego. Better stay away of such games and immediately report about it.